The draw for the 2015 Copa America, the regional south american competition, has been made and 2015 even will take place in Chile starting from 11 June 2015 and will be played through 04 July 2015. There are 12 teams which also include two teams outside Latin American sides (Mexico and Jamaica). Adidas will be releasing official team kits for 5 of the 12 participating teams in copa america and below is the more details on every countries official shirts. Chile both home and away 2015 Copa America kits has been released and these will be the last set of kits which will be produced by “Puma” as Nike is set to take over the kit contract after the Copa America. 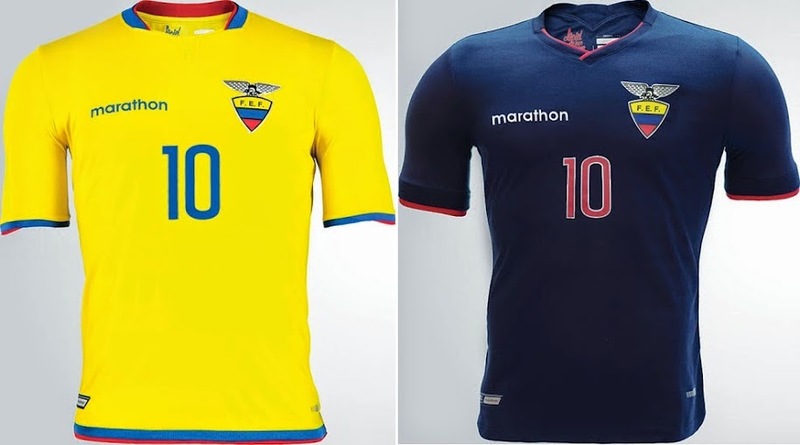 All new Copa America 2015 Ecuador official kits produced by “Marathon” has been released today. Home kit comes in traditional yellow colour with blue/red applications on colour and sleeves while the away kit is navy blue. 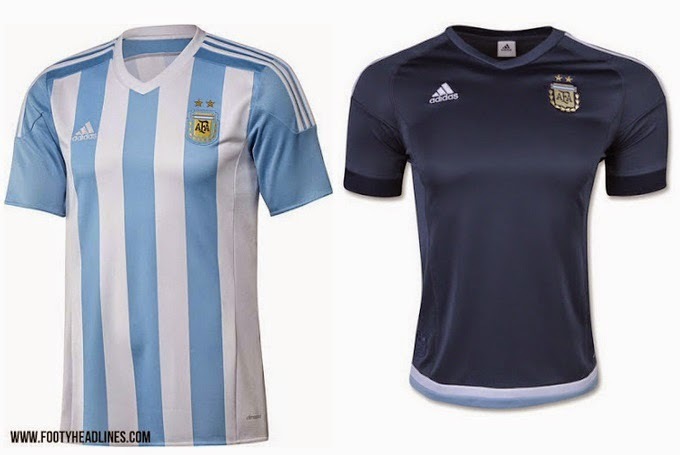 World cup finalists Argentina will have a classic skyblue/while stripe design for the home kit. A small v-neck collar in white colour makes the home kit for Argentina a very slick one. These are the new Mexico home and away official kits for upcoming 2015 Copa America where they are invited as guest nation from other continent. The new home kit comes in black colour with small round shaped collar. 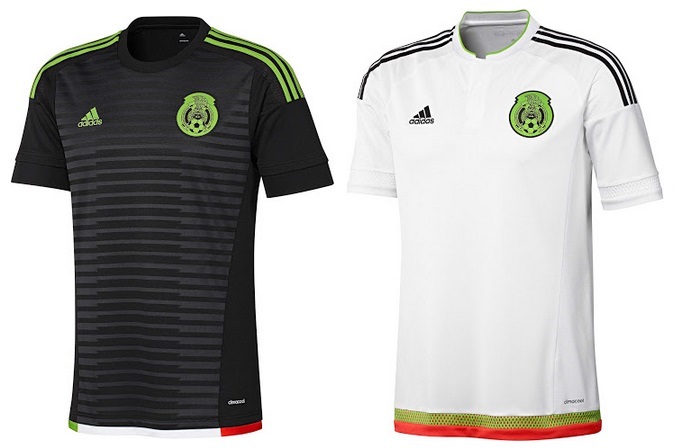 While the front of the kit feature a dark grey colour design pattern and at the bottom of the kit three colours (red, green white) represent mexico flag colors. The away kit is white with black application small round collar. Shirt bottom also feature a unique design yellow and red color pattern. 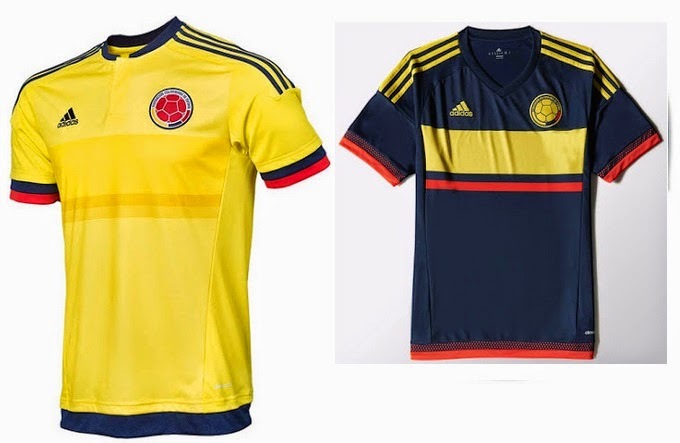 Adidas will release the new official Colombia Copa America home and away strips somewhere in February 2015, footyheadline(dot)com has released drafts for the kits already. The home kit comes in classic Colombia yellow colour with red and black application on collar and sleeves. 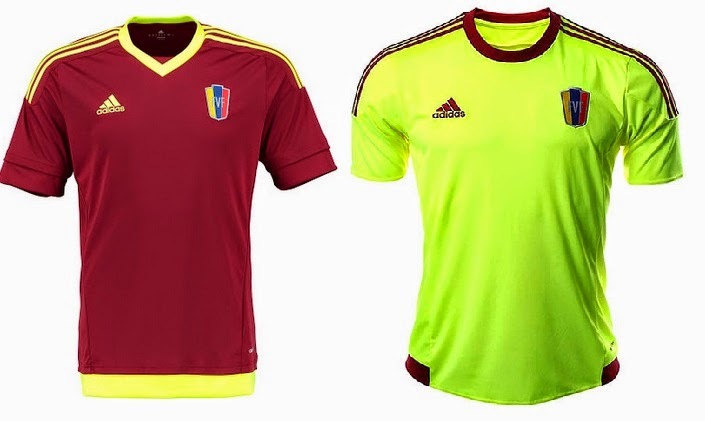 The new home and away adidas Venezuela kits has been released officially and here are the pictures of both home and away kits. 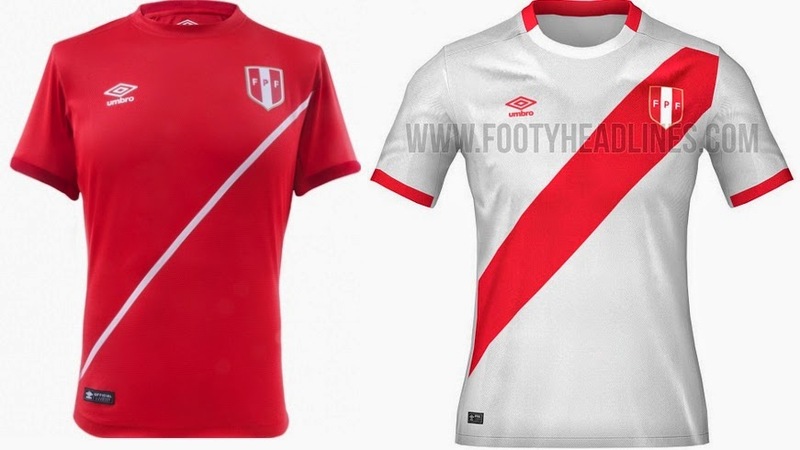 The home kit of Paraguay comes in white and red colour stripes plus blue colour application at the bottom of shirt and on the end of sleeves. The collar will be V-shaped in red colour. The red colour stipe in the shirt feature a small 4 corner style design in dark red colour. 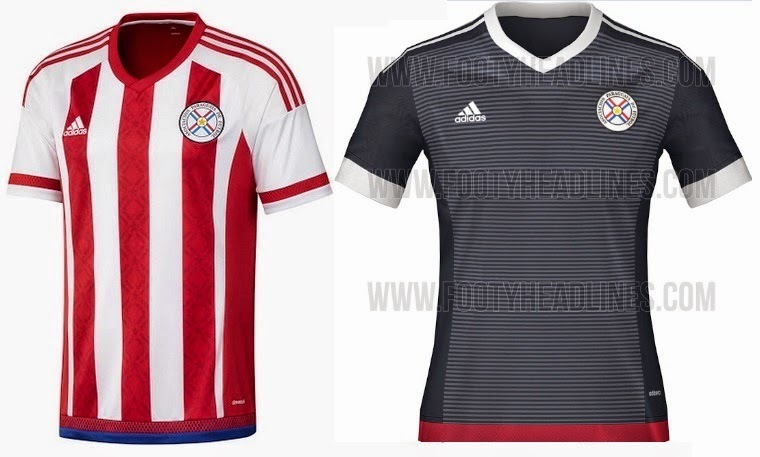 Paraguay kit will be released by adidas in february and the away kit information is not available at the moment, but we will update this page with official release pictures as soon as the kits are released. 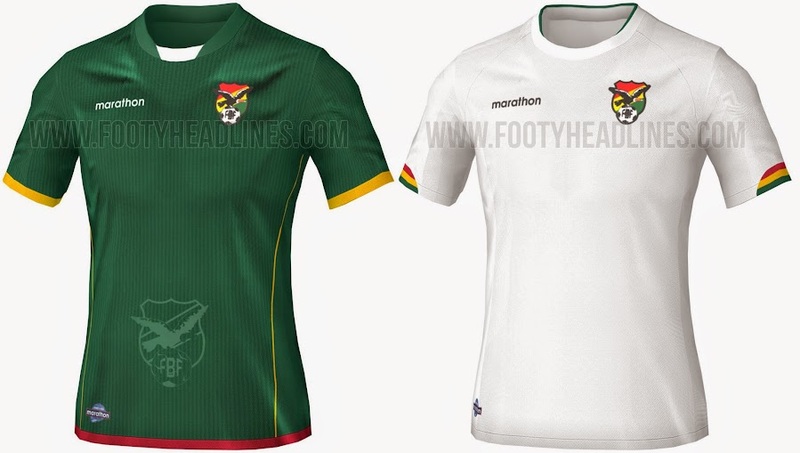 Bolivia kits for 2015 Copa america has been officially released and they are produced by “Marathon” where home kit features a classic green shirt with white shorts while the away shirt is white with green shorts shorts. 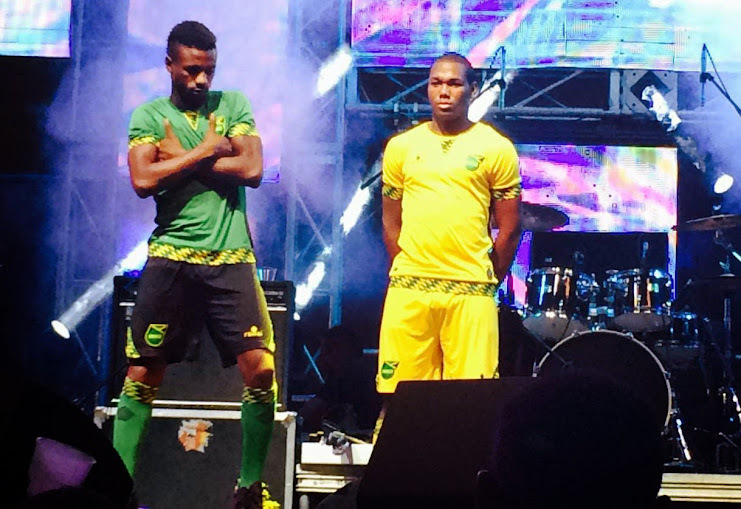 All new Jamiaca 2015 Copa America home and away kits has been released today. Jamaica football national team official kit supplier “Romai Sports” design the kits. The home kit comes in yellow as main colour with Jamaican flag design on colllar, end of sleeves and at the bottom of the shirt. While the away kit comes in green colour featuring the same design like home kit. Chile is Nike now Bro!